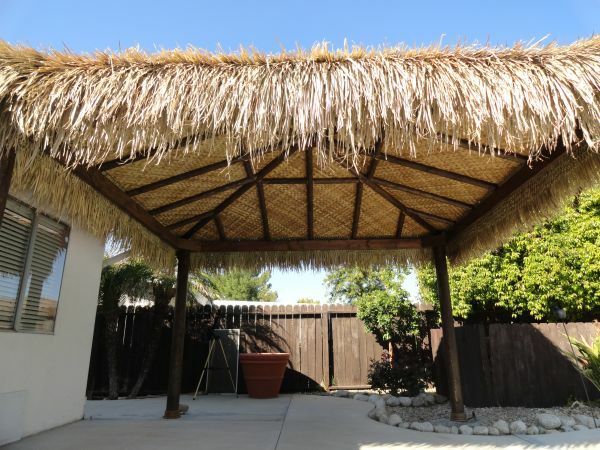 Tiki Shack Importer is the only USA Commercial Grade Palm Leaf Thatch importer Tiki Shack Importer is the only importer in the USA that deals with commercial grade palm leaf thatch. They market the highest quality palm thatching material at the cheapest prices (EMAILWIRE.COM, April 18, 2010 ) Colton CA - Tiki Shack Importer is one of the most reputed importers in the USA. They are in fact the only importer in the USA that deals with commercial grade Palm Leaf thatch, thatched roof materials and Palapa umbrellas. They bring to customers the largest selection of palm thatch material suitable for all sizes of thatching needs. Tiki Shack Importer roofing will add beauty to all outdoor environments giving a fresh tropical look to the environment in which it is installed. Tiki Shack Importer sells only highest quality roofing material that last longer than other roofing materials available in the market. It has a minimum life time of five to six years. Thatch roofing is suitable for restaurants, bars, theme parks as well as for private gardens. Most companies that sell thatching material sell non-commercial grade palm thatch which has a very minimal life time. Tiki Shack Importer with almost 20 years experience in this business and they are proud suppliers of thatching material for many popular theme parks and restaurants including but not limited to Sea World, Disney, Maui Wowi & Universal Pictures. These big brands vouches for the credibility of Tiki thatched roofing material. Another advantage in ordering commercial grade thatching material is that they sell all their thatching material at a very competitive prices. Furthermore, their prices include free shipping. Therefore customers will never have to worry about any hidden expenses whatsoever. Tiki Shack brings nothing but the best quality products to customers. They also offer custom Palapa umbrella builders -- one of the USA favorite Palapa umbrella builders. They have designed one of the best looking custom authentic frame pole kits available in the market. What started has a matter of personal hobby service by decorating friends backyards and vacation homes has now grown into one of the best thatching service providers in the US. Unlike the other sellers, Tiki Shack Importer does not sell second grade thatching material. They sell only the best grade thatching material at the best prices. They never compromise on the quality of the products sold though they sell them at the cheapest prices ever. Please call to make a appointment for pick ups. Pick up times are Monday-Friday 10am-5pm, lunch is from 12:30pm-1:30pm. Sorry we are closed on weekends.